Samsung launched the new super powerful Galaxy Note9, a flagship that comes with unparalleled features, and the launch itself is a topic of conversation. 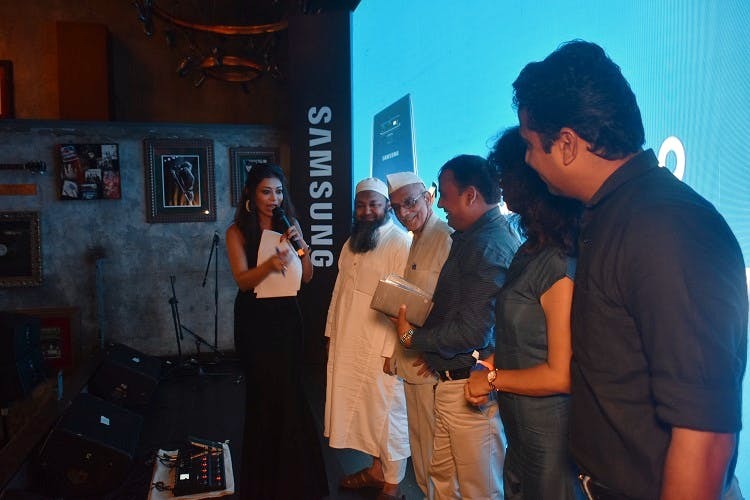 While the main event took place at the Hyatt in Manesar in the presence of Mr. DJ Koh – President and CEO, head of IT and Mobile Communications division, Samsung, the same was live-streamed in 13 locations across India and fans of the Galaxy Note series were present everywhere to witness the unveiling of the awaited Galaxy Note9. It was a wonderful day with band performances, tech talks, food and beverages, and we were glad to witness it all. The main event took place in Hyatt, Manesar but it was live-streamed live across 11 Indian cities. At each of the locations, fans, along with customers who had pre-booked the phone came together to celebrate the launch of the new Note9 with good food, great music, and one awesome phone! The Galaxy Note9 is the most powerful note yet and promises more productivity coupled with better performance. The new Galaxy Note9, in its classic style, comes with the revolutionary S Pen, and it has a whole lot of new features too. S pen will help you up your selfie game with its Bluetooth enabled remote selfie feature that lets you take selfies without actually tapping on the screen, so place your phone anywhere, pose and snap (no blurry photos anymore)! It can be used to control the content on the phone screen remotely as well (business meetings will be more fun). The multipurpose features of this pen will actually help you go hands-free. The new Galaxy Note9 is also 1TB ready with expandable memory, which means not only can you keep all the photos you click, you can create a playlist of over 5 lac songs and over 500 movies. It takes the entertainment-on-the-go lifestyle to a whole new level. This means no more storage alerts and no stress about backing up your gallery. And if you are like us – working all day, and Instagram-ing all night, you will find comfort knowing that the super powerful 4000 mAh battery will last all day, and then some. Also, the advanced processor on the Galaxy Note9 is truly powerful, which means you can play all the games you like, switch between multiple apps, do all the personal and official work, all at once, and still feel the phone has a lot more to offer. Oh, and another mind-blowing feature that makes this phone really cool, is the DeX mode, which turns the phone into a PC like an experience. You can share your laptop or TV screen and binge watch on the move and say goodbye to media streaming devices. If the camera quality of a phone is one of the most important parameters for you when buying a phone, this one promises to be a pleasing one with a screen optimizer that enables it to recognize 20 types of scenes including food, pets, greenery, landscapes and more. Sporting a dual-aperture lens, the camera of Galaxy Note9 is for sure going to help you up your Insta game, especially during the night, as the camera on this phone captures low-light images perfectly. While a lucky few who had pre-booked their handsets received their Christmas gifts early at the event you aren’t very late to the party. Galaxy Note9 is truly the most amazing flagship and if you’re planning to switch your handset anytime soon, we just gave you all the reasons to go out there and buy it now!